For every person, co-op has entered their lives in different ways and for different reasons. Some of us have had siblings that enjoyed playing together, others grew up with neighborhood friends. Some of us started in Arcades, others played Blades of Steel until 2am during slumber parties. Gamasutras Joshua Stern spent a lengthy entertaining blog titled "Go Team Co-op" discussing his life with co-op games. We want to know how co-op influences your gaming, where you got started, and why co-op is important in your lives. "During the 1980’s side scrollers were everywhere, and many of them supported two or more players. In the arcades, games like The Simpsons, X-Men, Metal Slug, and Teenage Mutant Ninja Turtles drained my allowance each week. I would usually go to the local mall or 7-11 with my younger brother." "Play through after play through my brother and I marched our Spartans through waves of Covenant and Flood. Friends would come over to experience the sensation first hand, and most importantly fun was had by all. 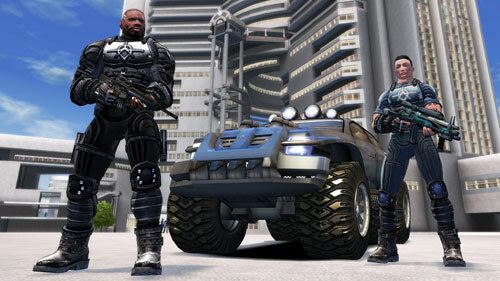 The game empowered both players, and encourage team work through a variety of scenarios. My favorite moments were driving the Warthog as my brother blasted away hostiles with the vehicles turret." Joshua goes into a bit of detail in his blog about the evolution of co-op games from arcade, to PC, to the growing trend that we're seeing in online co-op -- but we're much more interested in your personal experiences. Where did you play arcade games? If you're too young to remember the good old days of the 8 bit Simpsons Game in your local Pizza Hut, when and where did you get started playing together? What genres do you play the most co-op in? Are you happy about the re-emergence of side-scrolling co-op thanks to downloadable games, or do you prefer to shoot 'em up with Gears of War or Halo 3? I guess the most concise question we can ask you to do is: Define yourself as a co-op gamer, and post it as a comment. This is your homework, make us proud. Page created in 0.6485 seconds.